ABORT! 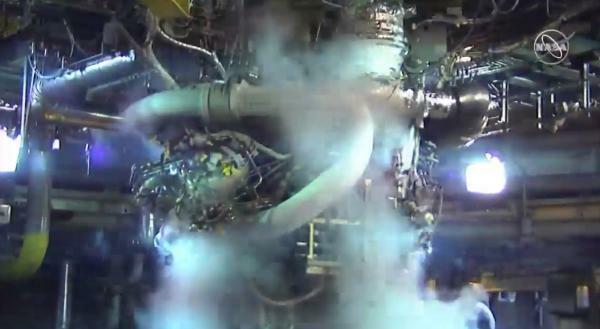 ENGINE SHUT DOWN AFTER JUST A FEW SECONDS. 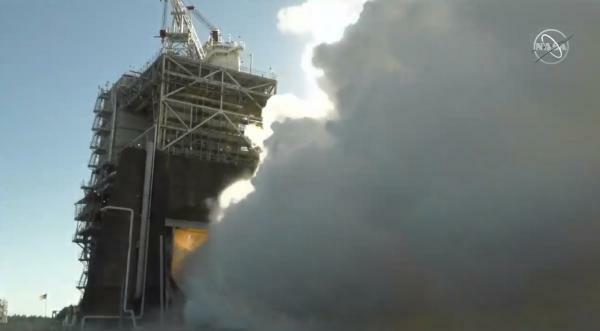 Things did not look normal with a fire going on on the far side of the engine powerhead. WOW! Fire on the powerhead. ABORT! Good luck to the team with their analysis and investigation! 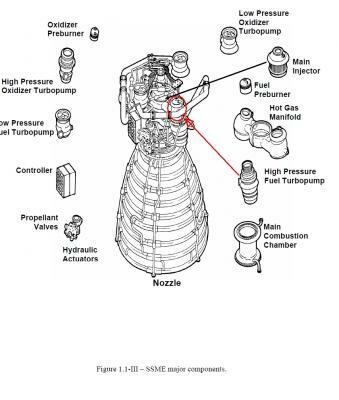 These are great engines, so hopefully this will be relatively easy to fix! 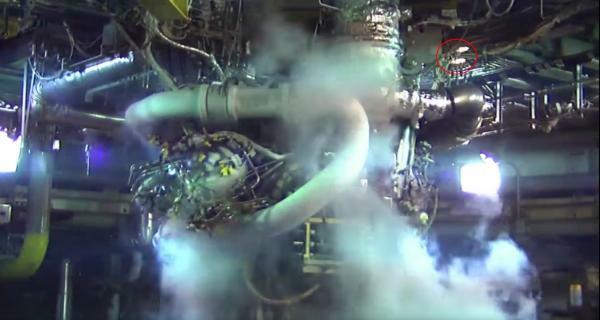 Hitting the "like" button for a test-abort doesn't seem right, but thanks for the coverage. 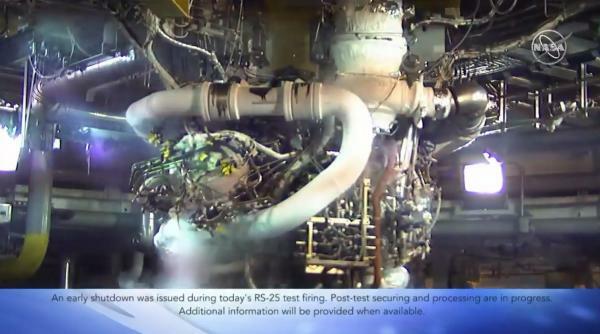 During an RS-25 engine test on December 12, a manual early termination was initiated when data indicated an anomaly. 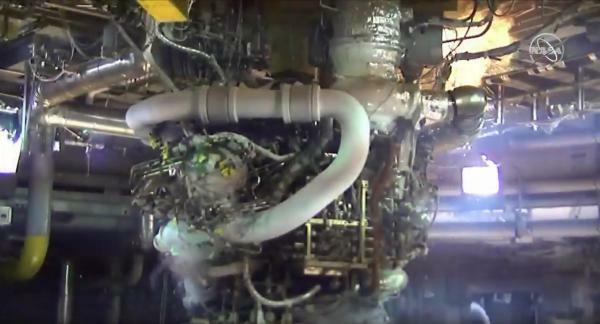 An investigation into the incident remains underway although initial indications are that damage to the test stand and engine are limited. 10 mins past the expected time of the webcast and still on live ISS views. 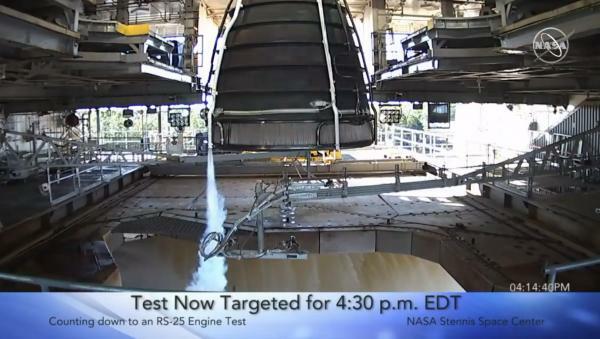 Next test is tentatively scheduled for tomorrow, between 2:30 and 3:30 pm CDT (20:30-21:30 UTC). 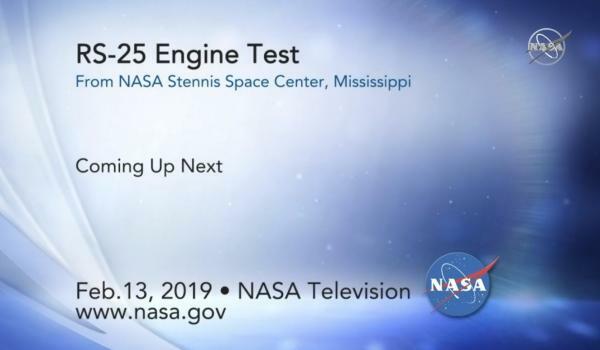 Live coverage is planned on NASA TV Media Channel (=> Livestream) and NASA Stennis Facebook page. This may overlap with the SpX-DM1 prelaunch briefing, which is broadcast on NASA TV Public Channel at 21:00 UTC.